In the past, marketing strategies like mass emailing, outbound or cold calling or placing ads in newspaper and magazines were utilized to reach out to prospective home or property buyers. But in the recent past, we have witnessed a paradigm shift regarding the choice of medium to reach out to or engage with customers. The credit goes to the Internet. 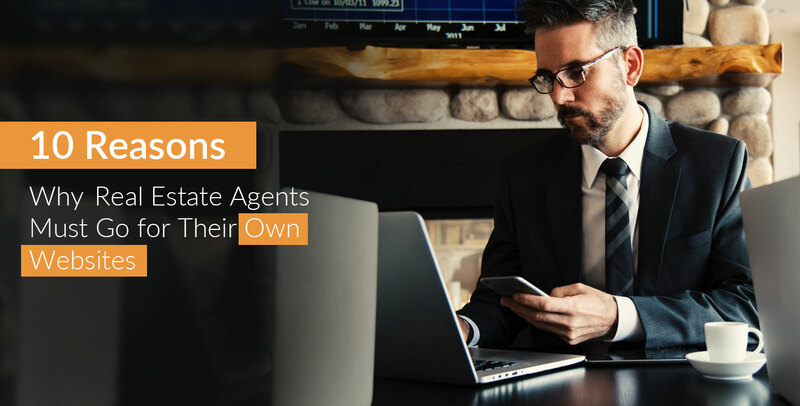 If you are a real estate agent, here are ten reasons to invest in real estate website development to further your customer acquisition strategy. Yes, today home or property buyers resort to the Internet or mobile, not just to do routine things like ordering a pizza or booking a movie ticket but also to perform things as serious as searching for their dream home. With consumers spending more time with the digital media than the conventional media like newspaper, radio, and TV, it becomes a must for you as a real estate agent to shift your focus to it, and real estate website design and development is the first step to make it happen. A website engagement shouldn’t be seen in isolation. Your website is a funnel that brings together traffic or users through multiple channels like social media, discussion forums, blogging networks, business directories to name a few. Your website serves as a repository of information. It not just includes information on recent homes and properties that are in sales (through MLS integration), but also other vital and engaging information to help buyers with their decision making. It tells users about you, your business stories, customer satisfaction, media presence, home buying tips and much more. An intelligently built real estate website creates a positive impact on your audience. What they see is what they believe. No matter how big is your office, how many properties you have listed on your website, how many people you employ, or even how big the real estate website development company is behind the website, all that makes a difference to a user is the kind of digital experience you give them. 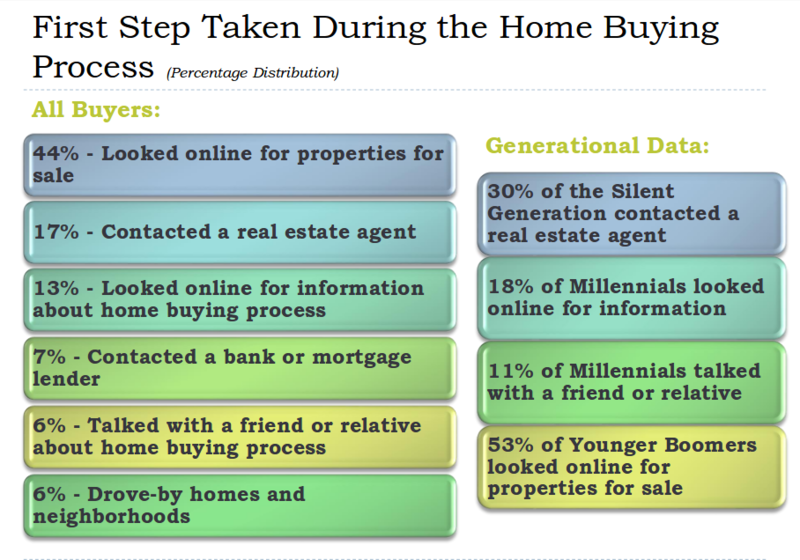 Millennials make the largest cohort of home buyers, and they are the Internet or mobile savvy. 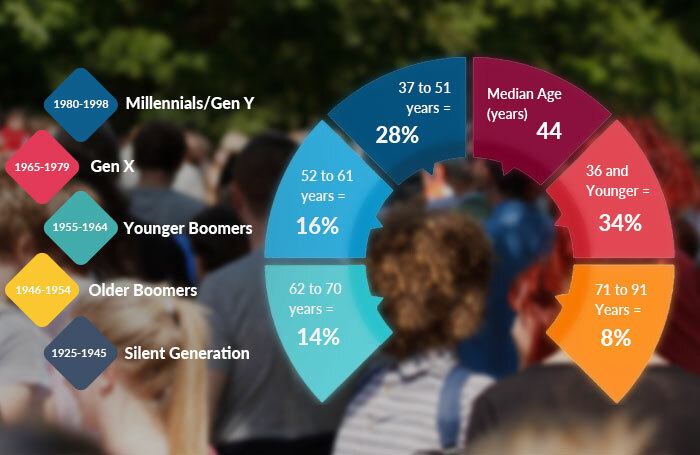 Even Generation X and younger Boomers are also not alien to the technology. Hence, without a website, it’s hard to plunge into the real estate market. Most of the users don’t want to share their personal or financial information with any real estate agents unless it’s earnestly required. With the virtual world ready to provide them the information they need to make their decision and buy a property, this tendency is growing higher. Hence, without a real estate website, you are likely to miss a big chunk of home buyers. However, once they visit your website, the game comes in your favor, provided you got your website developed with user experience in mind. Along with the property information, provide them tools like Mortgage Calculators, Information on Loan Programs, and access to MLS listings. The more valuable you become to your audience, the more is the likelihood of they getting converted to buyers. Even if you succeeded in approach your customer through conventional ways as email or news add, they are less like to engage with you, if you don’t have a sound web presence. Hence, it’s a way to build trust with the users and make them act. Create a community through regular discussions with your audience. It’s quite possible that the content, that is, property listings, blogs or home buying tips that you share on your website entice users to strike a chord with you. A few who are interested might leave their property requirement, vital feedback, or other information that you can utilize to serve them and achieve your conversion goals and improve your digital marketing ROI (return on investment). A healthy community interaction leads to better market reputation, and that pays off well. When you have your real estate website, you can exercise a better control on its design, content, performance, security and everything as you control whole of its coding. Business is always a long-term commitment, so it’s better not to resort to a website builder tool that offers their services based on some subscription monthly or yearly basis. It will take away the control from you, and who knows how long such a vendor will continue in the market. So, it’s always better to build a website from scratch utilizing the best of content management systems like Drupal or WordPress available on the market.